In life, there will be many wins, and likewise many L’s. The journey to financial freedom, will cause you to laugh, cry, and be thankful about your many blessings. Most of all, you will watch yourself grow and blossom and start to see that, really money was never the goal. You made the sacrifices for your kids, for the health of your parents, so you could see your loved ones smile again. You kept pushing to hit those goals, not because it was easy or because life dealt with you nicer, but because you saw life beyond the money. If you had all the money you’ve ever wanted, what would you do differently? How would you live your life? Over the last few months, I’ve realised that my financial goals are really aligned with my life goals. In discovering and trying to attain my financial goals, I really began to see that it was intertwined with my life goals. You see, I’m passionate about life and about people. More importantly, I’m passionate about seeing people live their life to the fullest. And whilst, not all of that has to do with money, a lot of it will. This journey started with me being a little selfish, wanting to learn things by myself, for myself first, before I could really impact someone else, or share my story. But as I’ve learnt recently, you’ve got to start from where you are with what you’ve got. You will learn that you don’t need to have it all together to get it right the first time. You will learn those who are your friends and those only in it for what they can get from you. You will learn that life is more meaningful when it’s shared and spent with people you love. And it’s not just people you know you love, but indeed everyone who has a shared goal as you. Very few things have come close to the feeling I felt on March 3rd 2018; a day I will never forget. So many odds were stacked up against the success of the day, and amidst everything, I rose. At the point I thought about cancelling or postponing the event – Save Spend Invest The Conference – the least of my concerns was the money I would have lost. I thought about all the people looking forward to learning about personal finance and how to shape the rest of their life by being empowered to take better financial decisions. I thought about how young people were stepping up. A generation marked relentlessly from birth to spend, spend, spend, this conference was proving the odds wrong. Millennials did care about where their money went. And although sometimes we fall off the wagon, we are trying to do better. Save Spend Invest The Conference may have been successful because I put time and effort into it. Long nights after long working days, coupled with little to no sleep, a lot of tears, some running around and heartfelt prayers to heaven finally paid off. Whilst I didn’t make profit from it because that wasn’t my goal, I realised the conference was more for them that came, than it was for me. 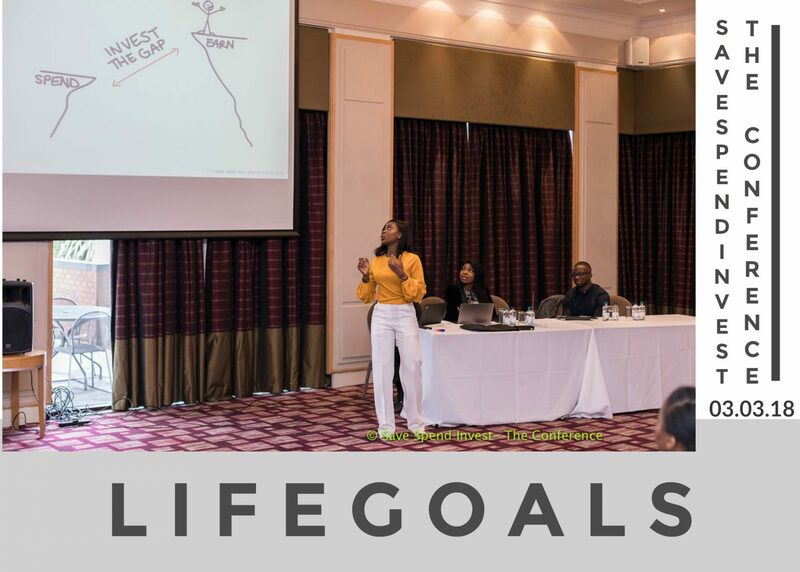 It wasn’t fuelling my ego or made me think bigger of myself, but that day I achieved a life goal, and finally understood that my life is so much more than having and making money. It’s because of my experience at the event, that I thought about the endless possibilities that it could bring. How truly I was ready to invest in my passion, and really ‘put my money where my mouth is’. If I say I am passionate about helping people achieve their financial goals, then I must make the sacrifices to get there. Money for me now, is part of the way I do that. I don’t just want to have money to help me live a good life. No, much more than that, I want to help YOU live a good life. But nothing worth having comes easy and so I’m ready to put in the time, and effort to see all of my life goals being fulfilled.